I am DREADING classes starting in August, and I am sure other students are too, but the only thing that motivates me when school rolls around is knowing that the salvation of football is approaching. One of the greatest traditions in all of sports is the Heisman Trophy, and the 2016 football year comes with some great candidates to win this prestigious award. 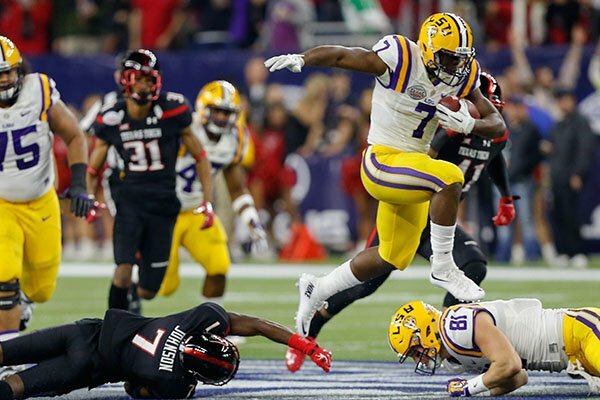 Last season, after five weeks of tailgating, every college football fan in the nation would have declared Leonard Fournette the winner for the Heisman Trophy. But things can change as fast as your GPA in college football. Here is a list of some of the “Heisman Hopefuls” for this upcoming season. Dalvin Cook (Florida State): Just like your hangover, Cook has shown up and wreaked havoc every Saturday the last two seasons at Florida State. He is a touchdown machine and has racked up almost 2,700 yards so far in his career. Under head coach Jimbo Fisher, the Seminoles have been among the nation’s elite, and if Cook has a Fall like the last one (1,691 yards and 19 touchdowns), his name will be in consideration for the Heisman. J.T. Barrett (Ohio State): Barrett’s season last year was a complicated relationship that resembled two guys fighting over one girl, or in this case, who would be OSU’s starting QB. Between Cardale Jones and Barrett, the two totaled 2,452 yards through the air and 19 passing touchdowns. To go along with that, the two combined for 875 yards on the ground and 13 touchdowns. If it had been Barrett’s show last season, he would have had two consecutive years of really strong numbers. Without Ezekiel Elliott being the VIP at the party this season, look for Barrett to be running all over the Big Ten East this year. Leonard Fournette (LSU): Through the first seven weeks last season, Fournette racked up yards quicker than my student debt, and pulled away as the Heisman front-runner. He had 1,352 yards on the ground and 15 touchdowns, while the Tigers were a perfect 7-0 through late October. November brought better competition and both LSU and Fournette struggled. The Tigers hit a three game skid where the then-sophomore had two games with 31 and 91 yards respectively. His shot at garnering the Heisman sank just as fast as his team did in the rankings. Despite the late season collapse, Fournette was still a finalist last December, and I expect for him to be in contention for the award this season. Baker Mayfield (Oklahoma): Oklahoma can thank two people for their turnaround last year. Bob Stoops and Baker Mayfield. After the Sooners loss to Texas early in the season, Oklahoma had to do a lot of work to try and regain a spot in the College Football Playoffs. Mayfield had 3,700 passing yards and 36 touchdowns last year and impressed in the College Football Playoff against Clemson, hurling the ball around for over 300 yards. If Oklahoma can roll through a schedule that is easier than my classes this semester, Mayfield will be right back where he found himself last year. Deshaun Watson (Clemson): I am not sure what was more amazing last season, that Watson did not win the Heisman, or that my undefeated beer pong streak eventually came to an end. Over 4,000 yards through the air and 1,105 on the ground are amazing stats for a non-Heisman winner. I am not accusing the voters of anything, but I have a slight belief that just because Derrick Henry went to Alabama, that is why they voted for him. The case could also be made that there was not one person more valuable for their team last year than Watson. Barring injury, he should be the safest bet to end up as a finalist in New York in December. 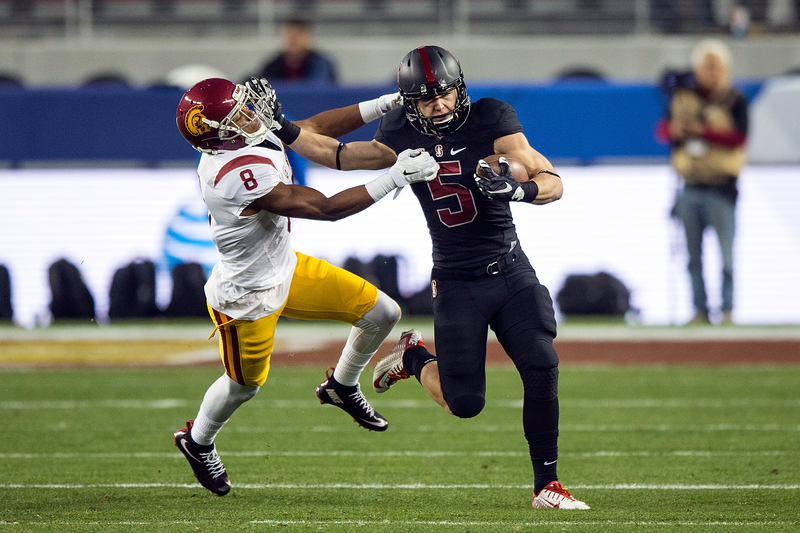 Christian McCaffery (Stanford): I am a huge Iowa fan, and thanks to Mr. McCaffery, I had plenty to drink during the Rose Bowl last season. Very few people can say that they are a swiss army knife on the field, but this guy can. Punt returner, running back, or wide receiver, he does it all. After Watson last year, McCaffery was the second most valuable to his team. The Cardinal running back broke the great Barry Sanders record for most all-purpose yards in one season with 3,250. That number did not include the Rose Bowl where he ran the meter up to 368 all-purpose yards, a new Rose Bowl record. McCaffery is only a sophomore at Stanford, which is scary to think about, and for that reason he is my preseason pick to win the Heisman Trophy.